Thanks Simon, for the explanation. Yeah, it's not a joke! Shadows the Remake was in the top 100. Status: Currently the project is delayed. Now I'm working on a new project in collaboration with Dark Light Studio. Soon more information about this project. 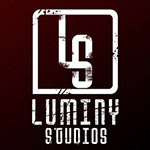 So Luminy brings some light into a Dark studio ? What is Dark Light Studio ? I found several studios called Darklight on google : one in France, another one in Australia and one more in Boston. Are they making games, films or advertising ? Anyway, good luck Vairon ! I wish you more and more success with your projects. 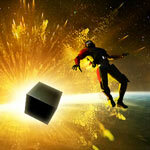 Dark Light Studio is a small Spanish study that begins to develop games with AM. I'm just going to help them in their new project. Do not worry, the work with Bloodwood Remake continues in the background, but still slower. So good to read that there are new people working with AM. Yes I think it's great news too ! Good luck ! Sorry for this downtime, I'm very busy with my new work. I hope to have time soon and continue with the remake of bloodwood and other projects.